If sound knocked before it entered, you wouldn’t have to soundproof your door. But, it doesn’t, which makes getting some much-needed rest difficult when your roommates, kids or pets are anything but quiet. 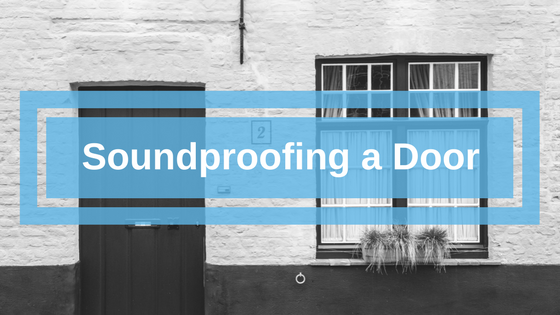 Soundproofing your door won’t silence them, but it will stop sound in its tracks. Learn how to soundproof a door below to get started on your quiet oasis. Cat owners are well-informed about the space between their door and the floor, as demonstrated by their cat’s paws darting in and out of your door’s threshold. Just as your cat can slip their paw underneath your door, sound can also dart under. Door sweeps reduce noise transfer. Vinyl and foam door sweeps are available, but they aren’t going to last against a kitty’s claws. That’s why our aluminum, silicone seals are a more appropriate choice, plus silicone is a flexible material so it won’t wear out due to temperature changes. Measure and cut the sweep to the designated size. Align the sweep to your door. Screw the sweep to your door. Help from your herd of roommates or family is recommended, as it makes your job a bit easier. Soundproof doors often feature a door sweep and perimeter seal. Why use both? The two secure your door’s perimeters since a door sweep only prevents noise transfer at the threshold — not the sides or top of your door. Like our door sweeps, our seals feature an aluminum frame and stainless-steel hardware, so they provide lasting quality. They also increase your door’s thermal performance, which prevents drafts from nipping at your toes. Perimeter seal installations follow a similar process as door sweeps, though after snugging in your screws, you’ll use a sealant to close the gap between the door frame and perimeter seal. Acoustic panels are another way to soundproof your door, especially if you live in a noisy building or have roommates who are party animals. Our panels feature fabric, foam or perforated wood, which gives you an attractive view and lowers the amount of sound entering your room. Fabric panels also serve multiple purposes. In addition to reducing noise transfer, they can act as a display board for calendars, postcards and notes because they’re tackable. They’ll also hold Velcro items. Adding an acoustic panel to your room’s décor is easy with a variety of Installation methods. In fact, it can take less than 30 minutes to install one of our panels. The most aggressive and least cost-effective approach to soundproofing a door is to replace it. Purchasing and installing one of these doors, however, requires alterations to your existing door frame. Plus, your new door will weigh between 300 to 500 pounds, which can ruin dramatic exits. Doors are notorious for noise issues. They often have a hollow core, and even the doorway itself creates a gap in your wall. Adding soundproof door hardware is a quick, efficient fix to noise issues. It’s also more cost-effective than replacing your existing door. 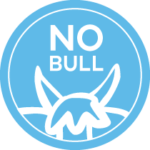 If you want to learn more about how to soundproof a door, windows, rooms and other venues, subscribe to our Bull Bulletin and we’ll keep you up to speed on the latest news, techniques and hardware.